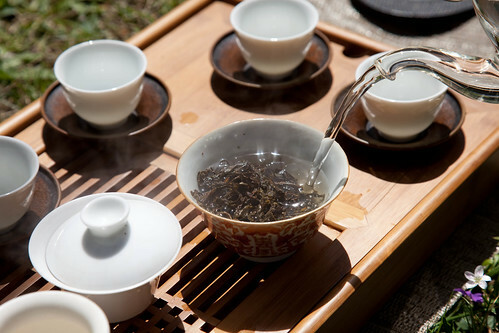 As guests arrived we began to set up outside and drink the remains of a fine tea - 2002 Big Green Tree from Best Tea House CA. 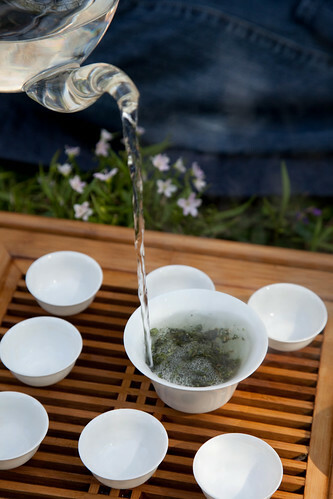 I have been drinking this potent tea for 3 days and the leaves had plenty left to share with our guests. Straight back into young puerh, I demonstrated breaking a sample from a 2008 cake, previously mentioned, from Luh Yu Tea Emporium. Tim wisely suggested that we pair this tea with a favorite of his own, a cake bearing the image of a grizzled Chinese general. 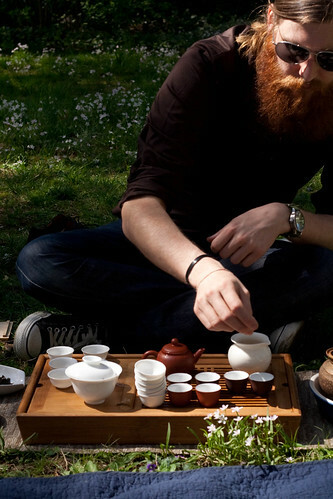 While similar in origin and vintage, we found it interesting to contrast the teas, finding Annie's to be sweeter and more "feminine" than the General's smokey brew. 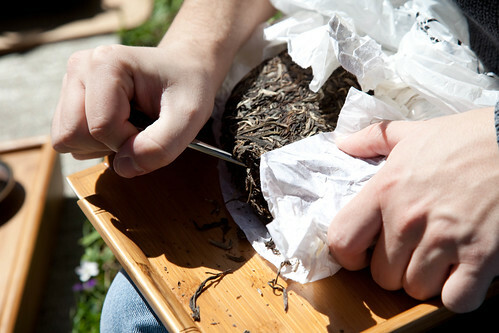 Jeremy took a short break from snapping brilliant photos to fetch his Chaozhou pot and a lovely pewter tin of Dan Cong. 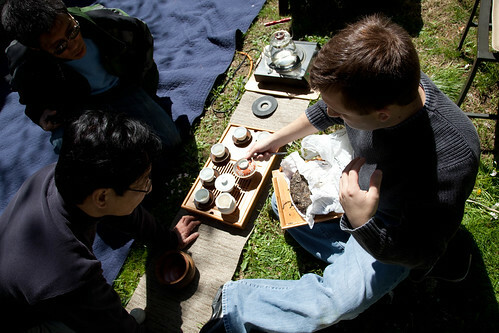 He brewed up several rounds to demonstrate to guests the importance of aroma to tea appreciation. And he looked pretty darn cool doing it! 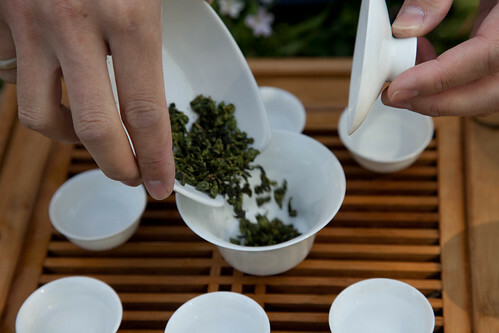 Tim graciously demonstrated brewing and appreciation of a very high grade Tie Guan Yin. Evan smells the dry leaves. Tim poured a steady stream onto the wall of the gaiwan. This rinse awakens the tea. 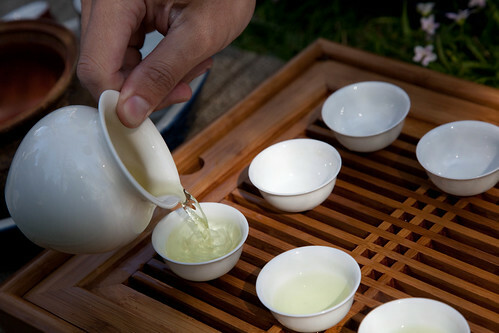 Jeremy captured the essence of the tea's color - pale yellow with a tiny hint of green. This is best enjoyed in white porcelain in natural light.